The Willow Ballroom's private estate offers a variety of photo options around the grounds. 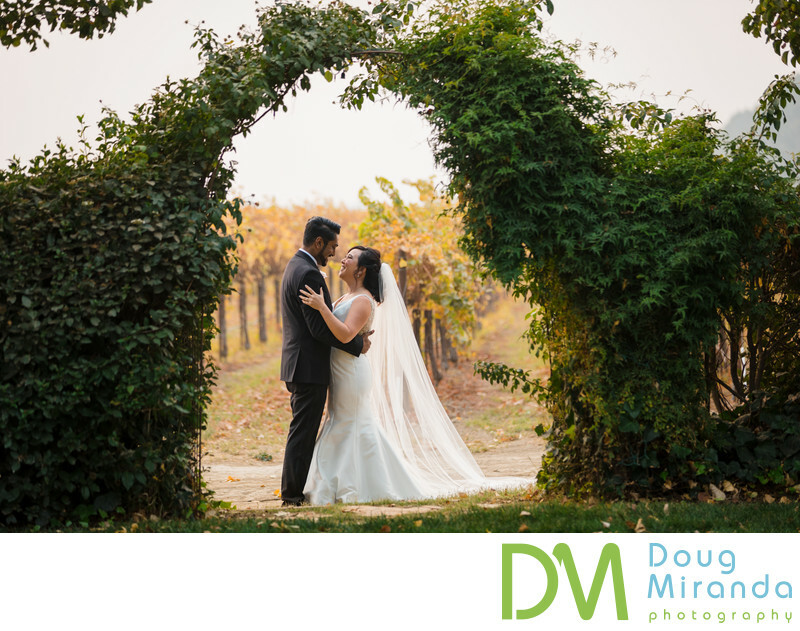 In this picture Lisa and TJ cuddle under one of the ivy grown arch ways that is located in the garden area of the estate. The green foliage adds great contrast against the orange turning grape vines in the background.